Complaining about not being paid, I'd like to hear what Power has to say about that. But a lack of patience? Really Phil? Really? Sacked manager becoming bitter, well who would have thought it. 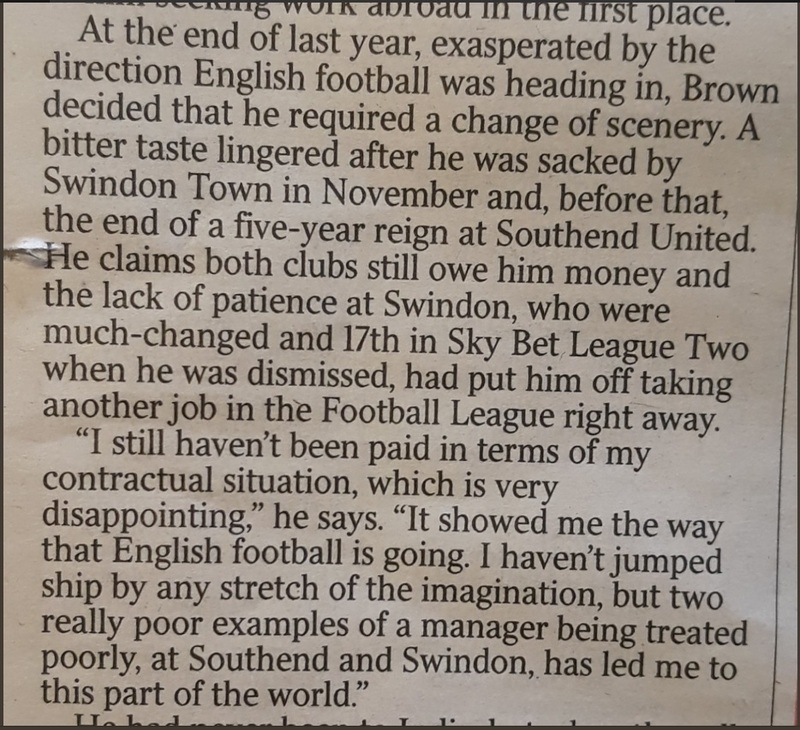 The fact he says the same of Southend, on the pay front, would suggest it is a legal issue likely having a differing view point of some contractual situation around pay on being fired. He thinks he is owed the clubs think they don't owe him etc. Swindon doesn't have a very good rep on the sub continent.... what with the Goan minister recently pointing out the privations of its 10,000 ex pats in Swindon having to breathe polluted air. He could get a tailored one out there for just a few quid! He'll save money on tanning beds as well. Tenuous even for you - I'd lay odds the vast majority of the subcontinent have never heard of Swindon so don't have a point of view on it either way.